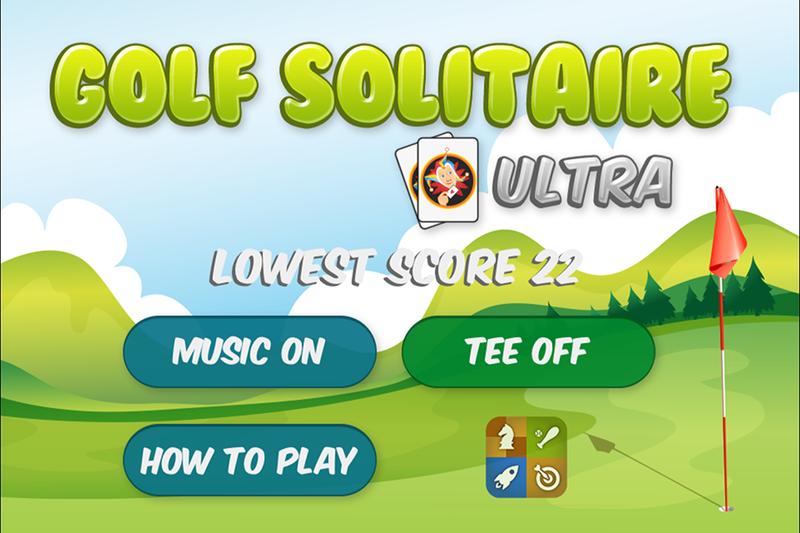 An amazing take on the classic solitaire game of Golf featuring Game Center integration and graphics/sounds optimized for both the iPad and Retina displays. 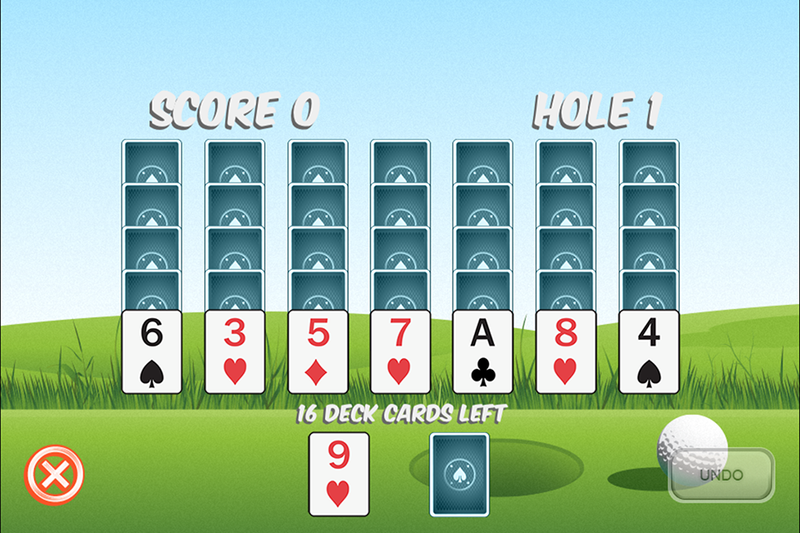 Golf solitaire is played with a standard 52 card deck where 35 cards have been dealt into 7 columns of 5 cards (the board). The cards at the bottom of each of the 7 columns are face up. You can use the stack of 17 remaining cards to remove cards from the board if the card is one lower or one higher than the card you select. Wild cards can be used to match anything. 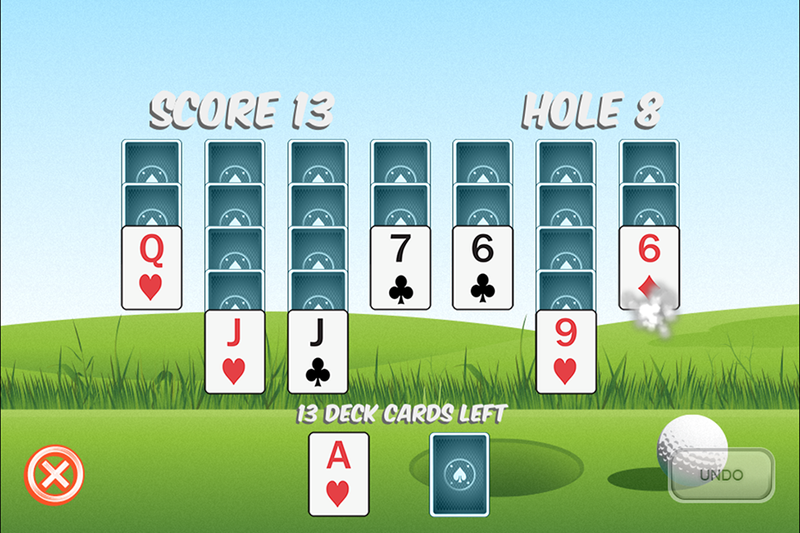 The object of the game is to clear the board using as few of the 17 deck cards as possible. At the end of each of the 9 holes you play any remaining deck cards credit you one stroke while any remaining table cards penalize you one stroke; the lower your score the better you are doing.